Directions: Brooklyn Bridge Park is an 85-acre (34 ha) park on the Brooklyn side of the East River in New York City. The park has revitalized 1.3-mile (2.1 km) of Brooklyn's post-industrial waterfront from Atlantic Avenue in the south, under the Brooklyn Heights Promenade and past the Brooklyn Bridge, to Jay Street north of the Manhattan Bridge. The site includes Brooklyn Piers 1–6. You can get down at WTC/ MidTown and can either take Taxi or use Subway train services, which are very frequent. I’ve so enjoyed playing around with night photography lately. However, I’ve learned that finding a photogenic scene without construction, ugly wires, ugly buildings or other aesthetics impediments have been more difficult than I thought. The Pier 2 contains over five acres of basketball, handball, bocce, and shuffleboard courts, and over half an acre of artificial play turf, fitness equipment, swing sets, and picnic tables available for walk-up use. 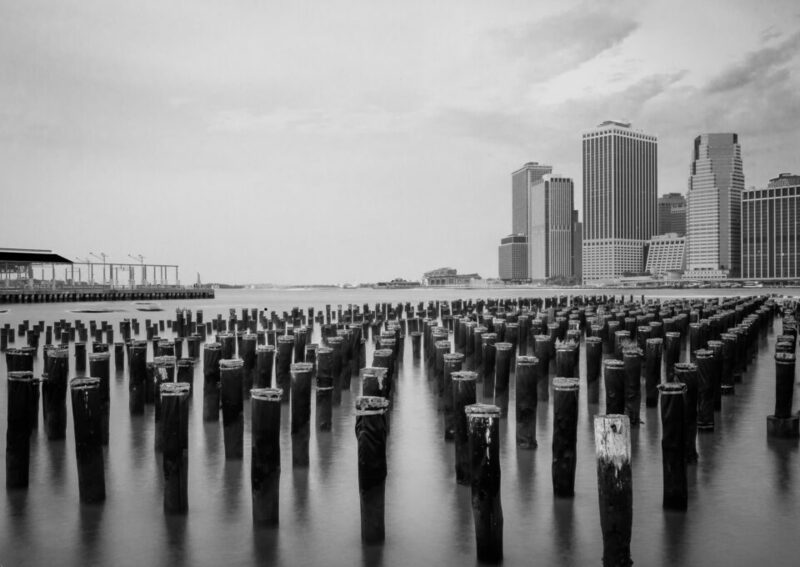 A wide promenade wraps around the pier, offering views of the Manhattan skyline and New York Harbor. I went to different area to the north of Pier 2 where dozens of old wooden poles dot the water. These remnants added a texture to the image that I really like. 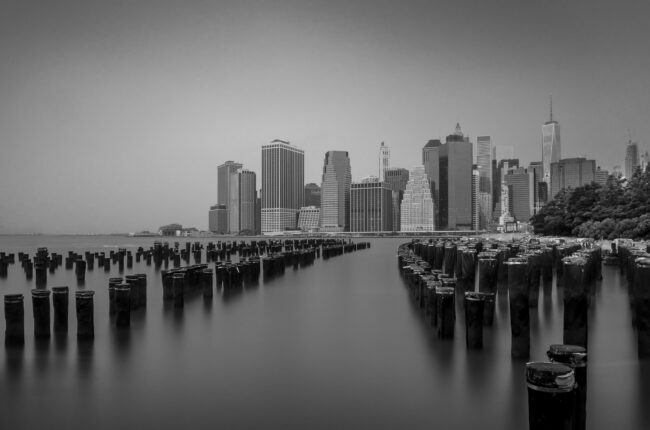 I wanted to try something Black and White shot with 10 stop filter (Long exposure shot). There was also a group of what seemingly professional Instagramers, shooting away like crazy. Do you have this photo available for download?